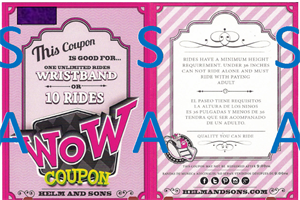 Purchase Discount Ride Coupon and save over 50% during the Fair. The price is $25 for a 10 rides or wristband coupon. During the Fair, rides cost $3-$6 per ride.